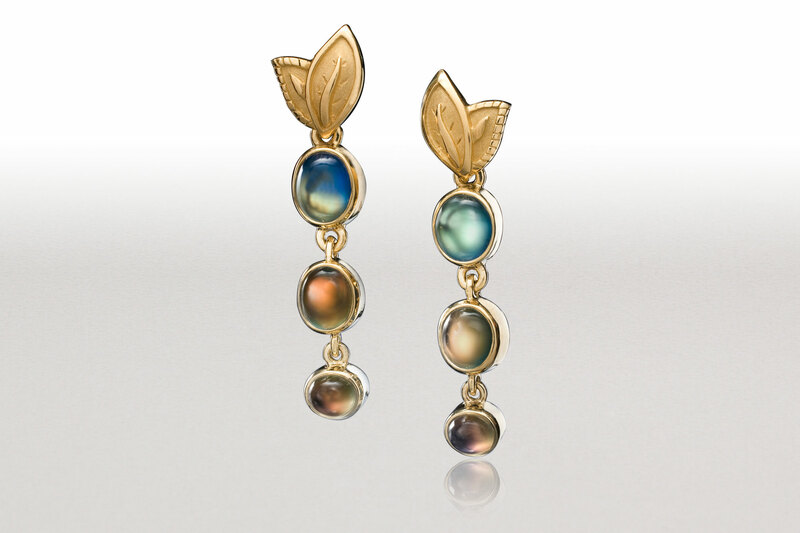 These 18k gold earrings are dripping with rainbow moonstones. 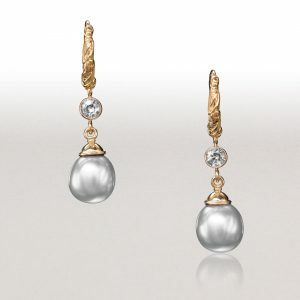 This set is sold, but another set is available. 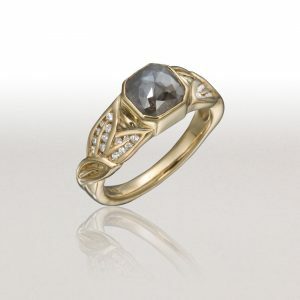 The moonstones are all blue and a small diamond drop is suspended at the bottom. 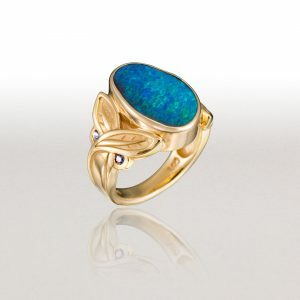 The price reflects this new version. 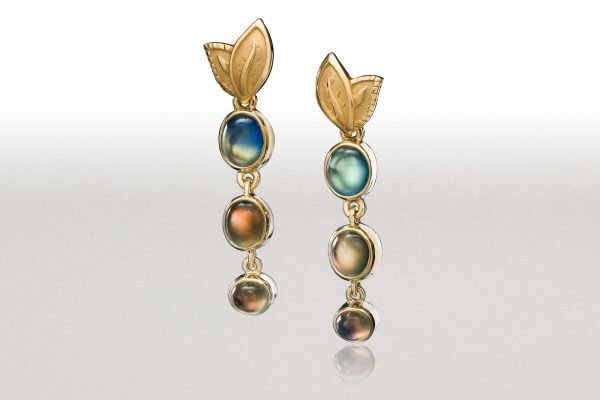 Rainbow Moonstones dangle three-in-a-row from double-leaf post earrings. 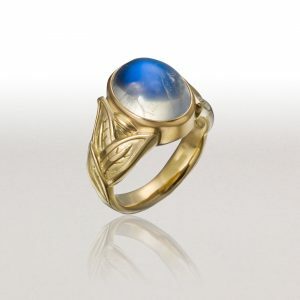 The new version has a small diamond suspended at the bottom of three Royal Blue Moonstones.